You can choose from Gangnam Course and Night Course as well to discover more in Seoul! Its very worthwhile. We took the Route A plan, and never regretted. The bus stopped at so many attractions spots which we would not have gone if we travel on our own. The open-top was the best option, able to see so many beautiful scenery along the way. We got down at more than half of the total no.of stops. Love it. Highly recommended to all. Discover the ancient charms and modern delights of Korea's capital. With 2 different routes to choose from, there is an option to suit everyone, ranging from wandering Seoul's best shopping districts, to taking in some of the city's ancient palaces and temples. 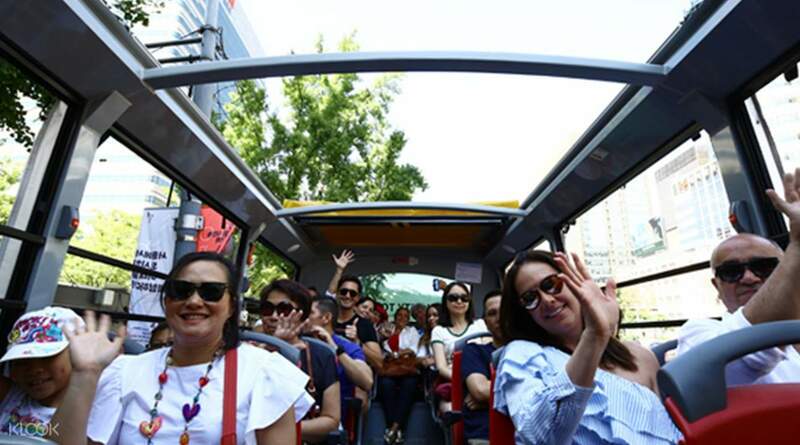 Hop on and off the bus as you wish with a flexible ticket policy, meaning you can make the most of your Seoul experience at your own convenience. It's the best way to see the city and discover one of Asia's most vibrant capitals. We had a great time exploring Seoul through this bus (Seoul Panorama+ Namsan Cable Car+ N Seoul Tower) . But I suggest you choose the stops wisely. We skipped the N Seoul tower and decided to go there last since it is open til 11pm and we are staying at Myeongdong. The tower stop is 15-20minutes walking distance to Myeongdong night shopping area. But first went to Gangnam Station , Hongshik University (went to Coffee Prince Cafe). We had a great time exploring Seoul through this bus (Seoul Panorama+ Namsan Cable Car+ N Seoul Tower) . But I suggest you choose the stops wisely. We skipped the N Seoul tower and decided to go there last since it is open til 11pm and we are staying at Myeongdong. The tower stop is 15-20minutes walking distance to Myeongdong night shopping area. But first went to Gangnam Station , Hongshik University (went to Coffee Prince Cafe). Great experience, its really nice to see seoul in april. So many cherry blossom near the bus stop and during the trip. We took panorama package. Its nice to see seoul with the history from the audio which that also available in bahasa indonesia and many other languages. Thanks klook. Great experience, its really nice to see seoul in april. So many cherry blossom near the bus stop and during the trip. We took panorama package. Its nice to see seoul with the history from the audio which that also available in bahasa indonesia and many other languages. Thanks klook. First station was easy to find, sightseeing around Seoul was a great experience. Although traffic in Yeouinaru area is heavy due to cherry bloosom but nonetheless like i’ved said this is still a great experience. First station was easy to find, sightseeing around Seoul was a great experience. Although traffic in Yeouinaru area is heavy due to cherry bloosom but nonetheless like i’ved said this is still a great experience. I like this better than the traditional course. The drivers are friendly and the audio is of good quality as well as very informative. The temperature is good and the time is reasonable. You can't expect to enjoy each of the attraction in one day even if you start at the earliest time. The best strategy is to choose among the attractions and make the necessary planning upon receipt of the schedule. Overall it was worth the money. I like this better than the traditional course. The drivers are friendly and the audio is of good quality as well as very informative. The temperature is good and the time is reasonable. You can't expect to enjoy each of the attraction in one day even if you start at the earliest time. The best strategy is to choose among the attractions and make the necessary planning upon receipt of the schedule. Overall it was worth the money. Good way to get to know the place on Day 1 and plan your our walking tour next. Better than just doing a virtual tour online. Helped us tick the spots we would go to on our freetime. easy to find start point near the City Hall. 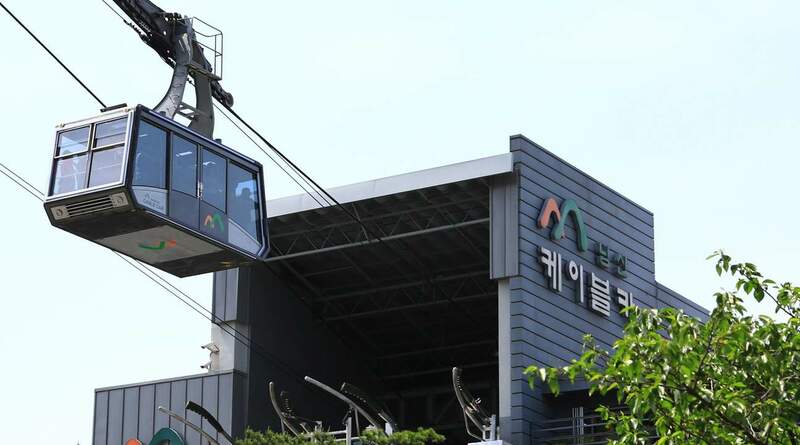 Get the full package with Namsan cable car and NTower entry. Really good combo! Good way to get to know the place on Day 1 and plan your our walking tour next. Better than just doing a virtual tour online. Helped us tick the spots we would go to on our freetime. easy to find start point near the City Hall. 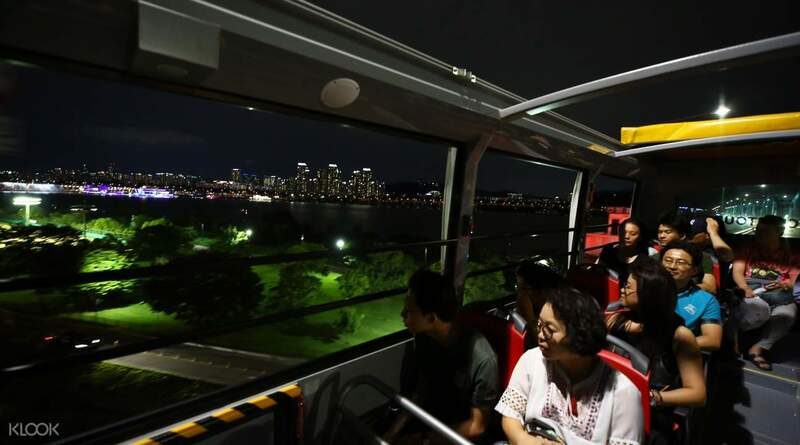 Get the full package with Namsan cable car and NTower entry. Really good combo! 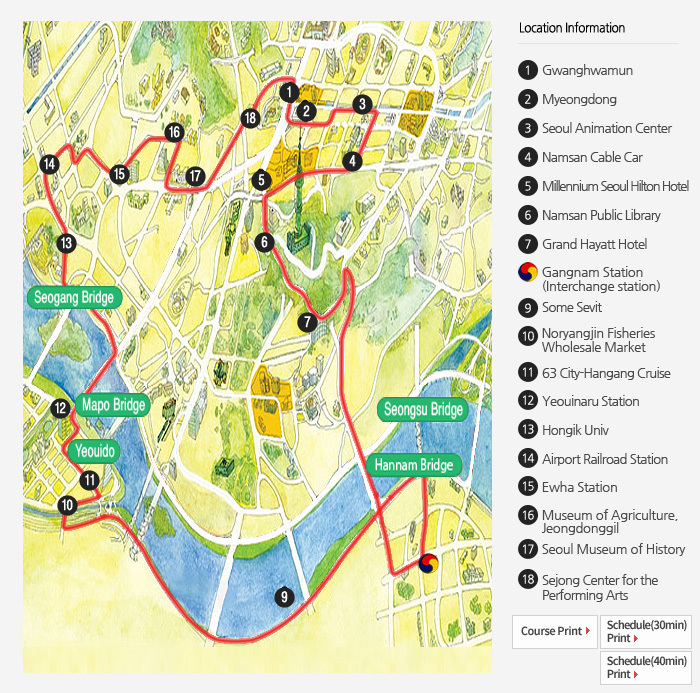 Convenient way to roam around Seoul and listen to the narrator to tell about Seoul history and attractions. The audio is available in many language including Vietnamese, Thai, Bahasa Indonesia, English, Japanese, etc. Convenient way to roam around Seoul and listen to the narrator to tell about Seoul history and attractions. The audio is available in many language including Vietnamese, Thai, Bahasa Indonesia, English, Japanese, etc. City Tour was fun. It was very convenient. 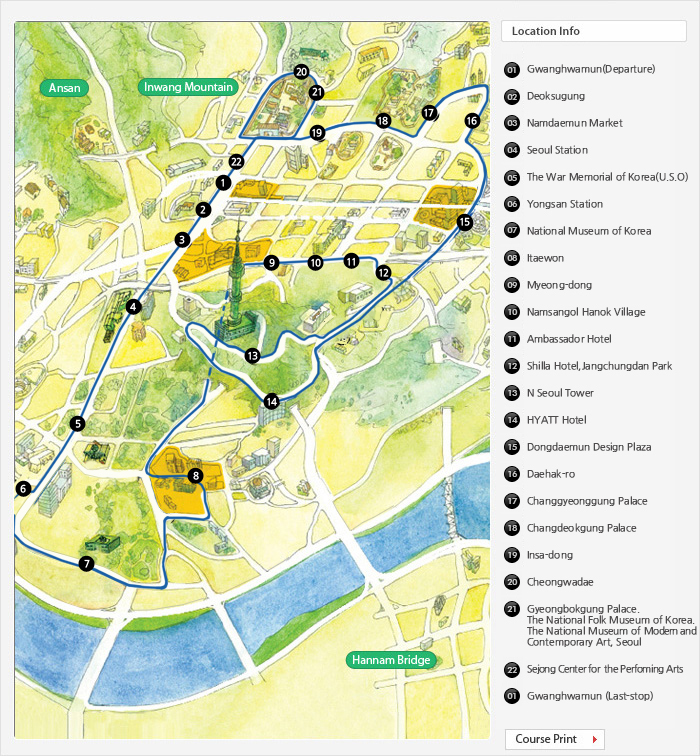 This is a great way to explore Seoul when you have limited time. Namsan Park was our highlight. This is highly recommended. City Tour was fun. It was very convenient. 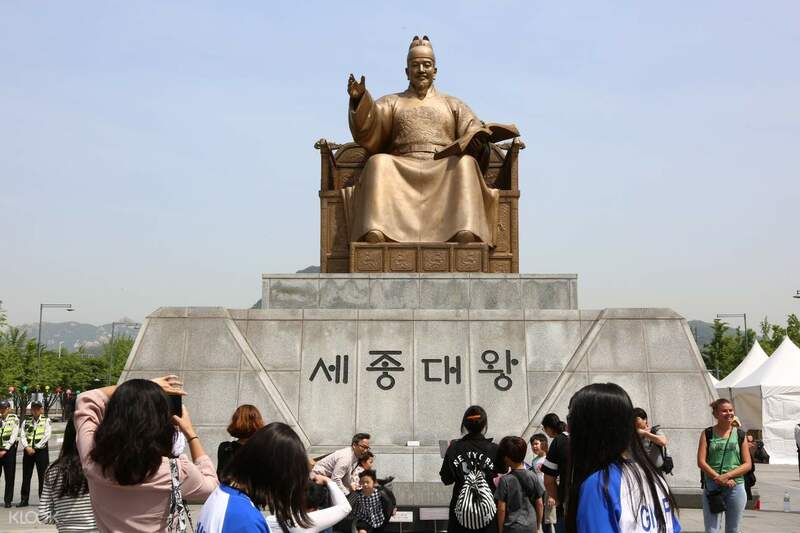 This is a great way to explore Seoul when you have limited time. Namsan Park was our highlight. This is highly recommended. Q: Can children use the bus for free? A: Children under the age of 5 can ride the bus for free. Each child must be accompanied by 1 adult. Children over the age of 5 must buy a ticket (same price as an adult ticket). If there is more than 1 child under the age of 5 and only 1 accompanying adult, the additional children must buy a ticket.